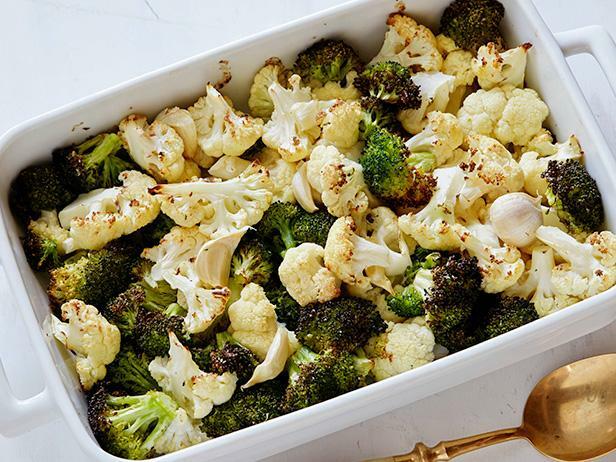 Place cauliflower and broccoli into a 9 by 13 inch baking dish, toss with the olive oil, and sprinkle with salt. Cover the dish and bake for 1/2 hour. Remove the cover, stir and cook for 30 to 40 minutes more, until vegetables are tender and nicely browned, stirring occasionally.